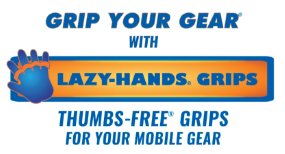 Interested in ordering hand grips for phones or hand holders for tablets for your company? We can customize them for you! Use this form to provide your company logo, or other desired imprint, additional instructions, and any other information regarding your custom-printed LAZY-HANDS order.